Leading Supplier and Trader from Bengaluru, our product range includes Industrial Safety Products such as Fire Proximity Suit, Industrial Sirens, Breathing Apparatus, Safety Goggles, Safety Shoes, Safety Nets and many more items. We feel immense for trading, distributing and supplying a wide assortment of Safety Shoes. The offered Safety Shoes are designed by vendor’s practiced professionals utilizing the finest sole that ensures high comfort. 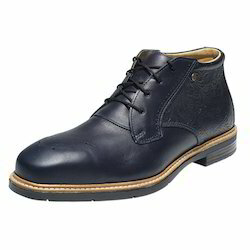 Provided Safety Shoes are known among patrons for its high security. Our patrons can avail these Safety Shoes from us in several sizes at reasonable price within a given time frame. 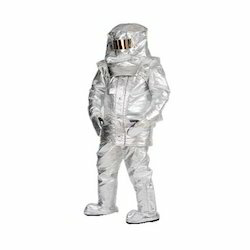 We are engaged in offering Fire Proximity Suit to our clients. 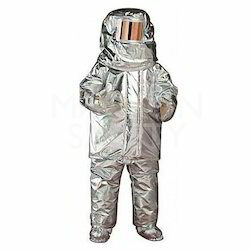 This suit is widely being demanded by the clients as this is designed to protect a firefighter from high temperatures. It is being manufactured using vacuum deposited aluminum that reflect the high radiant loads produced by fire. These are resistant in heat and ensure long lasting service life. This also does not require much maintenance and are available at eco-friendly prices. 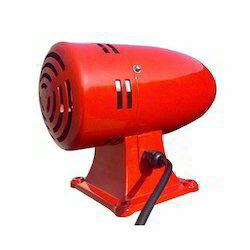 We are a well-known firm offering Industrial Sirens to our clients. Industrial Sirens are used in factory, fire station and other industrial purposes. It is used for producing warning signals. Furthermore, these are available in different sizes and design so that our clients can customize the product as per their own requirement. 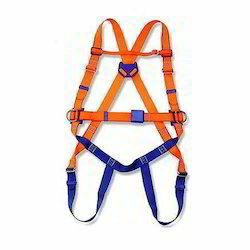 Banking on the individual requirement of the clients, we offer an exceptional array of Safety Belts that are offered in standard lengths and have smooth texture. Safety Belts can be easily fitted with the pants and trousers of different waist length. Clients can avail them in varied loops and shades. 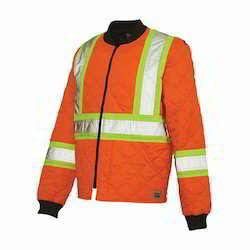 To meet the growing demands and requirements of the customers, we are involved in offering a wide range of Safety Jackets. Size: XS, S, M, L, XL, 2XL etc. Being a reckoned in this domain, our company provides quality assured array of Fire Bucket Stand. Our product range is available in variety of sizes and shapes as per the customer’s demands. It is designed by using supreme quality raw material. 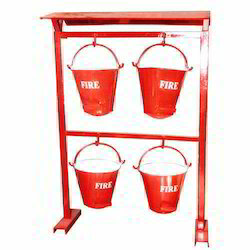 This Fire Bucket Stand is extensively used in different petrol pumps. It is made out of heavy duty G.I. of gauge 18 to 20 SWG. It consists of stand with four buckets or more. 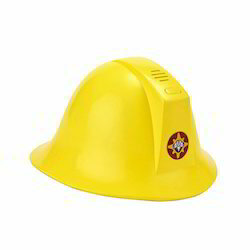 Being a quality oriented organization, our company is indulged in presenting standard quality array of Fireman Helmet. Our product range is known for its high strength and excellent design. Our product range is used to provide protection in the situation of extreme fire. Clients can avail this product from us at most reasonable rate. 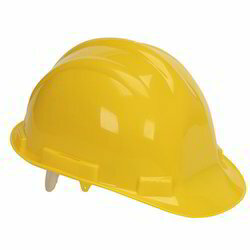 Owing to years of experience and knowledge, we offer large array of Safety Helmets to our customers. These products provide safety and are used in work place environments. Our Safety Helmets are comfortable and available in various sizes. We offer high grade quality products to our patrons at industry leading prices. 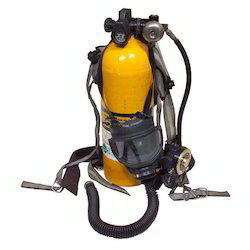 In compliance to set industrial norms, we manufacture Breathing Apparatus to our clients. Various sizes and dimensions are available for this product range so as to deliver the best product to our clients. rescue workers, firefighters, and others to provide breathable air in severe dangerous conditions. Also the product price range is cost-effective. Our organization is widely renowned in offering Fire Safety Suit to our clients. As its name conveys, it is used for offering complete protection to workers involved in doing hazardous works from fire. For this purpose, experts have used material which comes with flame retardant coating. This is offered in several designs and has excellent finishing. This Fire Safety Suit has different layers and has leather lining. Looking for Industrial Safety Products ?